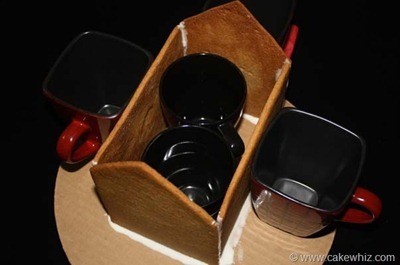 Use this step by step tutorial to learn how to make gingerbread house for Christmas. 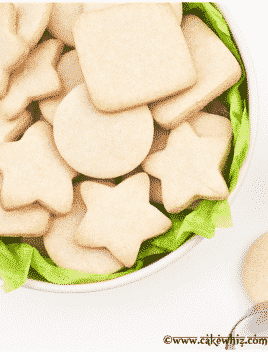 Recipe for hard gingerbread cookies and royal icing included. 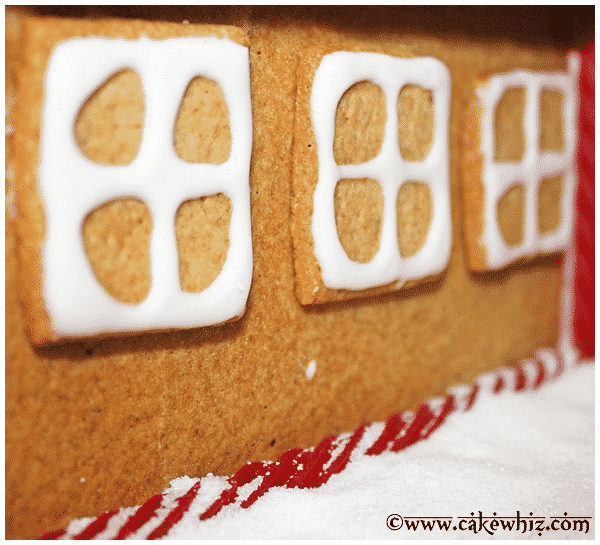 Today, I am sharing a tutorial on how to make gingerbread house. 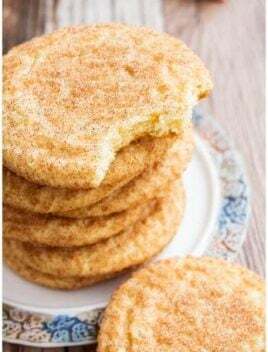 A few years ago, my mom and I played around with a few ingredients and we came up with the recipe for these gingerbread cookies. We were very disappointed with the result. These cookies were VERY HARD hard but somehow, tasted good. 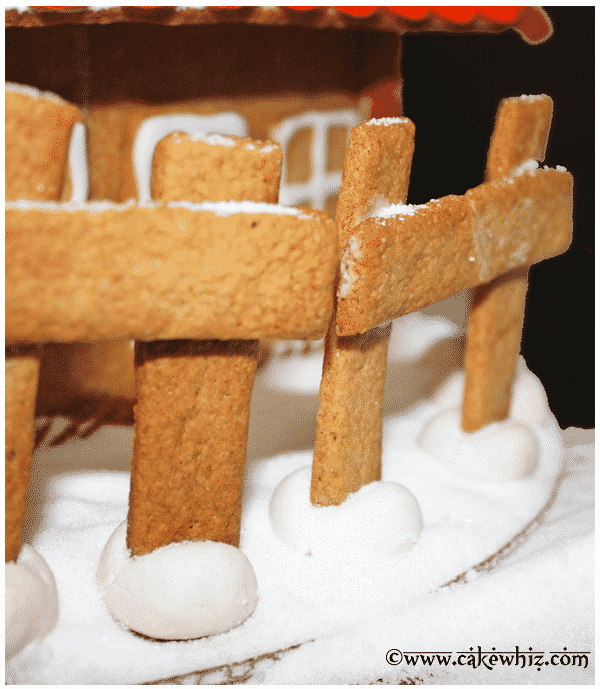 This recipe makes excellent gingerbread houses and it can handle the weight of heavy decorations. 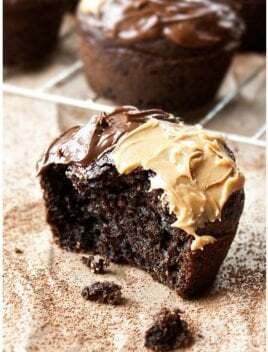 Check out the recipe at the BOTTOM of this post. Trust me, your house won’t break apart. Look at these teeny tiny windows. And a house is never complete until there is a fence surrounding it. 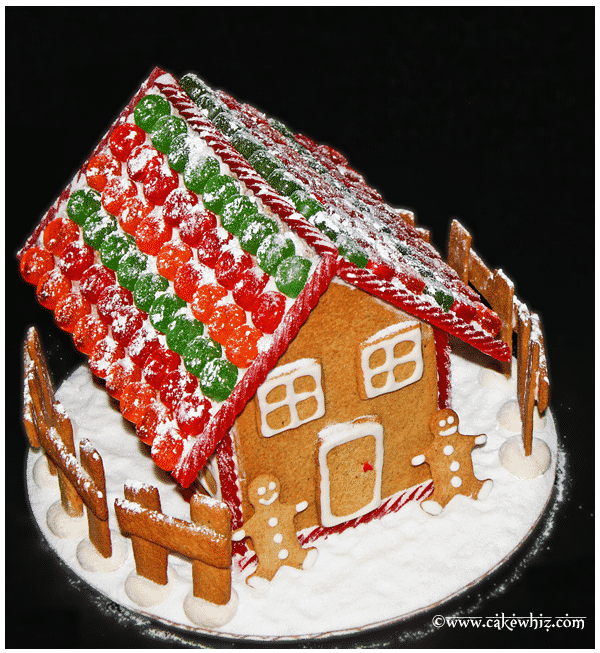 My favorite feature of this house was the candy-covered roof! 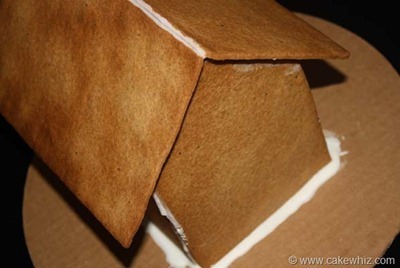 Honest to God, assembling the gingerbread house was much harder than I had anticipated and time- consuming as well! I am sure there are tips and tricks which I don’t know yet but it was still fun. 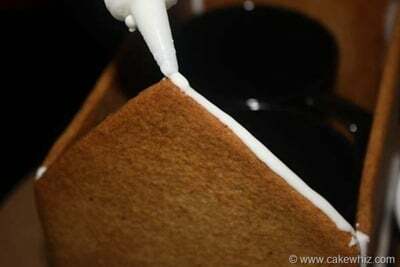 How do you guys assemble your gingerbread houses? Any shortcuts you would like to share? Bring out your baked gingerbread cookies, royal icing and a cake board. Something I realized later was that it is best to use a thick cake board because the house can get pretty heavy with all the candy decorations. 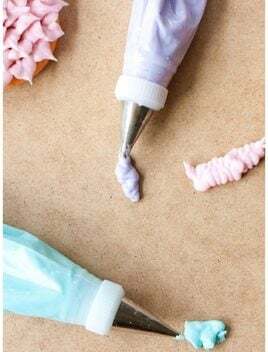 Pour a line of icing on the cake board and place one of your side walls on top of it. 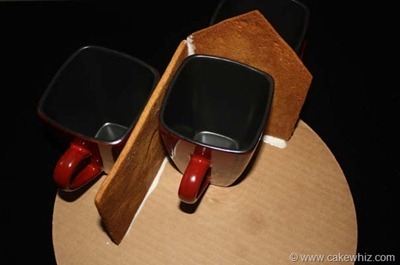 To support the wall, place something heavy like mugs on either sides. Pour another line of icing on the cake board and place your back wall on it. 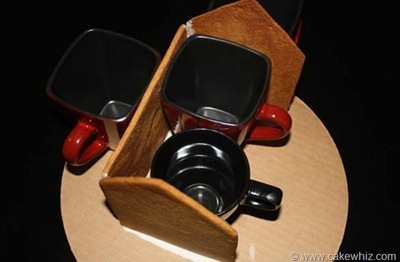 Adjust the positioning of the mug to support this wall. Also pour some icing between the two walls for extra support. Pour a line of icing on your cake board and place your front wall on top of it. Support this wall with something heavy too. Don’t forget to pour icing between the walls! Your walls are almost positioned! 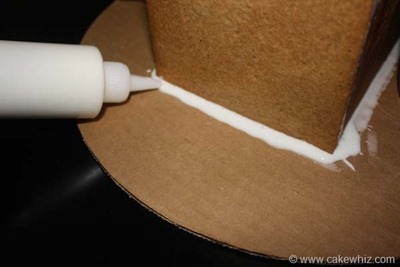 Pour a line of royal icing on the cake board and place your final wall on top of it. Support the wall with another mug. The house is starting to take shape…right? 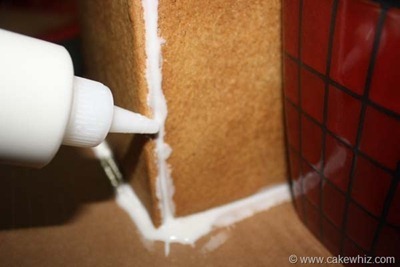 To prevent the walls from collapsing, pour some more icing around the base of the four walls. And pour some icing between the four walls too. Let the icing on these walls dry for an hour or two before putting up the roof. I felt that this made the walls secure enough to hold the weight of the roof. Time to put the roof! Pour a line of icing along the top of the walls. 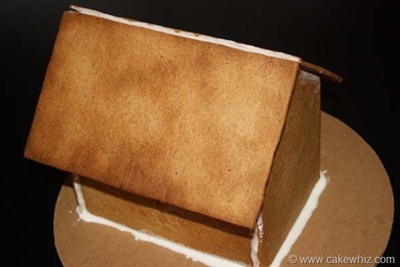 Gently, place one of your roof panels on top of the icing. Support it with books and other things. 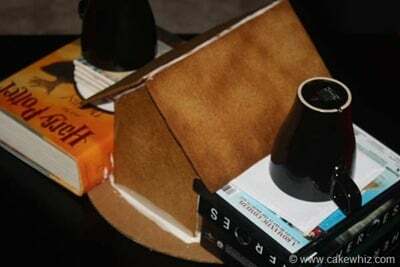 By the way, don’t forget to take out your mugs from inside the house walls. You can also fill your house with candies. It would be a nice surprise for people. 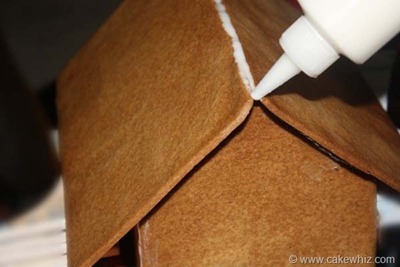 Do the same for the second roof panel and then, pour some icing in the joint between the two roof panels. Let it all dry for a day and don’t move anything. This is what the house looked like the next day. See how it is standing on its own! I was happy beyond belief. My first gingerbread house assembly was a success!. Next comes the best part- DECORATING! I swear this was the best step in the gingerbread house mission! First, I went out and bought candies. I got licorice and fruit drops. They were colorful and make the house look pretty. For the windows and also the door, I used square shaped cookies and just piped details using royal icing. I pasted them onto the walls using royal icing too. One thing I realized was using a massive amount of icing to stick something would just make it slide. So, it is best to use a few drops of icing. I really wanted to make a fence around the house. My initial plan was to use pretzels to make them but I forgot to buy them at the store.So, I ended up using rectangular shaped cookies. For some reason, my fences were not sticking to the cake board with royal icing. They were not standing upright and kept falling over. It was so annoying ! To fix this problem, I rolled small balls of white fondant and pushed the base of the fences in them and placed them on the cake board. It worked beautifully. For the roof, I used candy drops. 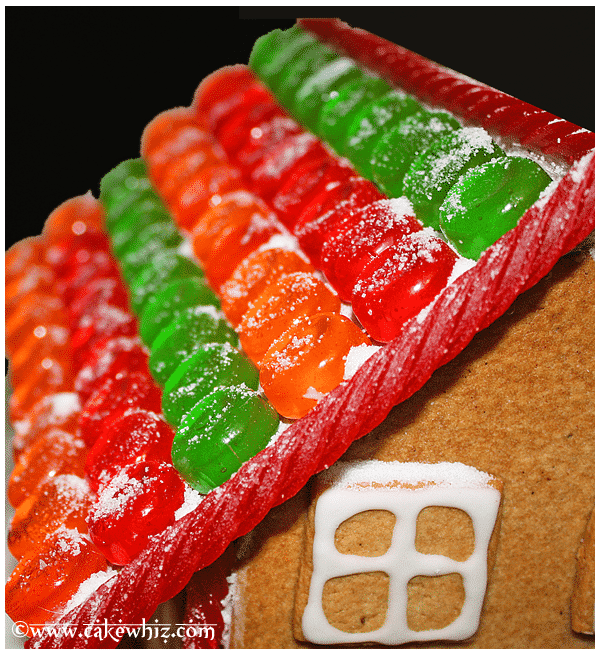 I also used licorice for the borders of the roof. I felt that it gave it a very refined look. I stuck everything in place using royal icing. Finally, to give the house a “snowy” effect, I sprinkled sugar all over the cake board and also sprinkled some over the window sills, fences and the roof. I am sure you can use royal icing for this snowy effect but I felt this was easier. Add butter, brown sugar, corn syrup, milk, cinnamon powder, grated ginger and baking soda in a bowl. Mix until you have a smooth mixture. Add flour and mix again. At this point, it may be easier to mix with hands. Roll out the dough on a sheet of parchment paper. This dough does not require any freezing or cooling in the refrigerator. Quite a time saver… don’t you think? 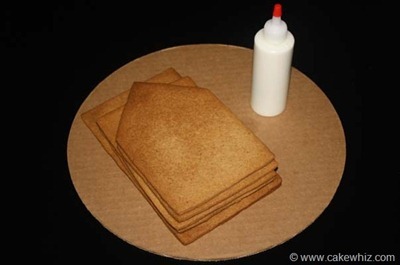 Use your gingerbread house templates to cut out different shapes. There are a bunch of templates available online. Bake them for 10- 15 minutes at 350 degrees. 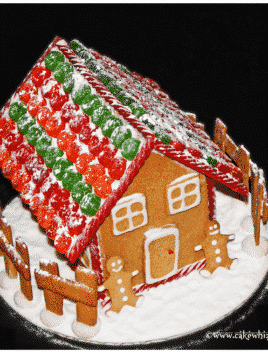 When the cookies cool, you can assemble your gingerbread house! – As you can tell, I have not used a high quantity of spices. I prefer mine not too spicy. You can increase them according to your preference. You can also add some nutmeg if you desire. 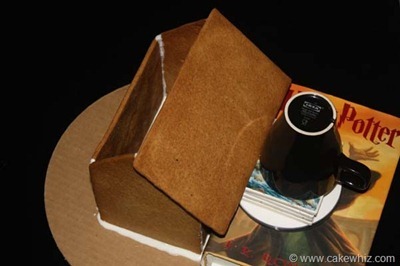 I hope you found this tutorial on “how to make gingerbread house” helpful. I myself have never made a gingerbread house either. Sound like a great idea for the kids to make! Thanks for sharing! Once the cookies are cooled, use a fine grater to make your edges line up together (take off rounded edges). 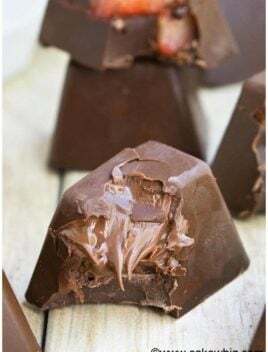 To stick pieces together quickly, make caramel and dip edges in it. It takes less than a min. 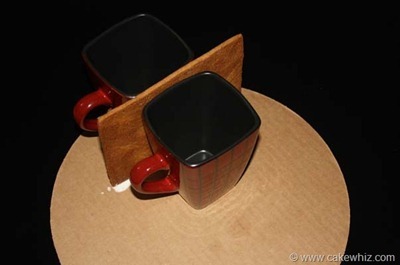 To dry and you don’t have to use coffee cups, etc. To hold it together. Then when done use icing around the edges. Wow! Those are some incredible tips. 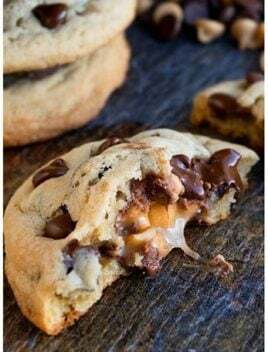 I have never used caramel to stick them together but I can’t wait to try that out. Thanks! 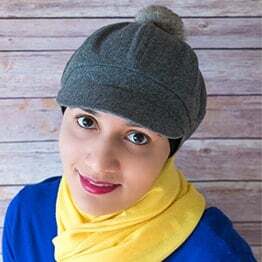 One tip that I strongly suggest is decorating your walls and roof first before assembling! Makes it so much easier!